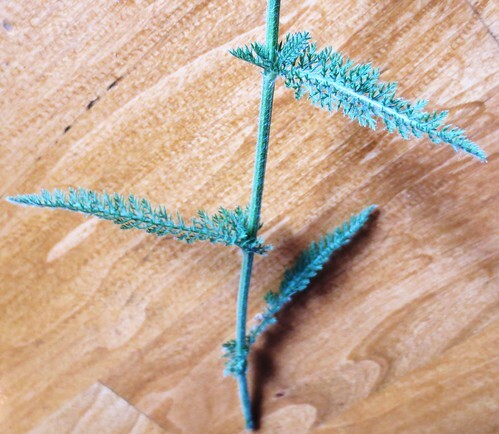 Yarrow is a useful healing herb that grows wild. It is know as Soldier’s Woundwort and Knight’s Milfoil as it was used on the battlefield to stop bleeding and encourage healing. The scientific name for the herb is Achillea millefolium named after Achilles from the ancient Greek Trojan war legend. The herb has been used for everything from controlling bleeding of wounds and nosebleeds to chewing it for toothaches. Tea can be made from the wild herb to help with sleeplessness and is a helpful fever reducer. A tincture can be made from the plant by chopping up the flowers and leaves. Cover the chopped parts with a 80 proof cheap vodka and leave it in an airtight jar. Store the jar in a dark cabinet or basement for 4-6 weeks. Shake the jar daily and add more vodka as needed to keep the herb parts covered. After 4-6 weeks you see a dark green liquid formed and then just strain out the herb mass. Use cheesecloth to strain out the herb parts and squeezed out any remaining liquid from the mass by wringing it out within the cheesecloth. Fill a small dark-colored dropper bottle with the liquid and use 1-2 drops as prescribed in water or under the tongue. WARNING: Do not use while pregnant or if you have skin allergies. Remember to always check with your doctor or other medical specialist before using wild herbal products. 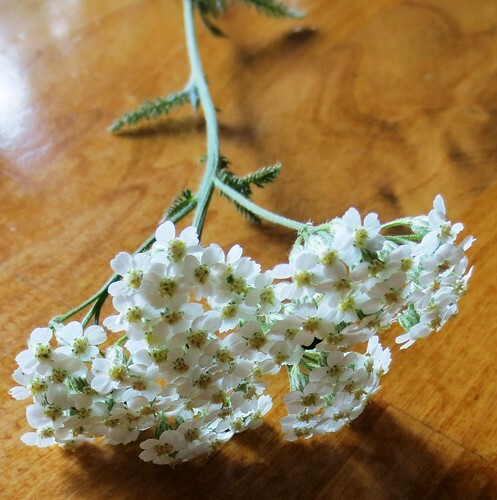 Here is a useful link to more uses and information on using wild yarrow. At the time of pregnancy, everyone needs to careful that time. Helpful suggestion. @Ashik – Yes it is very important NOT to use wild yarrow during pregnancy.